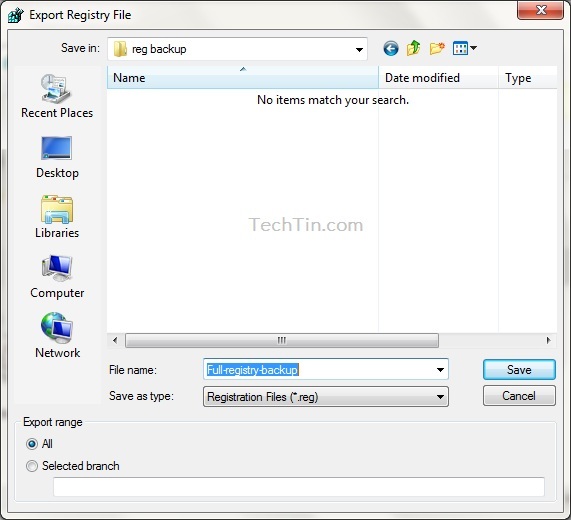 Before making any change in windows registry, its highly recommended that you make backup of the registry. A wrong entry in registry may break your Windows. 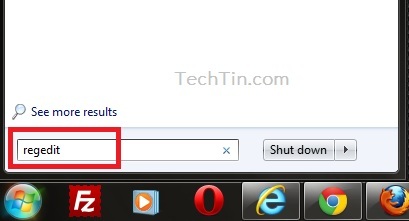 Click Start button and type regedit into the search box and then press Enter button. With computer selected, Click File and then click Export. Enter file name and save the REG file at a safe location. This REG file is your windows registry backup file. 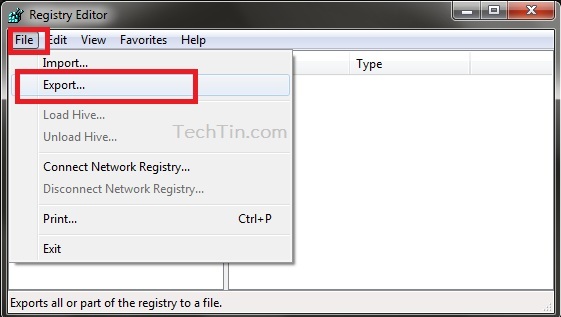 You can now use this REG file to restore your windows registry.